USGBC Central Florida is proud to support this special five-day Training Program and Exam that provides in-depth instruction in all aspects of energy management, conducted by a qualified instructor, live and in-person. Earn 36 PDHs of continuing education. To view the course syllabus and schedule, click here. Ideal for energy managers, assessors, purchasers, and policy makers, the C.E.M. is the most widely-recognized Energy Management certification in the world. It is a required qualification for energy jobs by several employers, governmental and private alike. To learn more of its valuable benefits, click here. Having the most respected and established credential is important in your career path! Rise to the Top of the Energy Management Profession -- Become AEE Certified! We invite you to invest your time and effort toward obtaining the best recognized Certification in the energy-efficiency industry by enrolling in the CEM program. USGBC Florida Members and AEE Members receive a $200 discount for this course and exam. To register and pay for the CEM Five-day Training Program and Exam please visit http://aeesun.org/certified-energy-manager-course/. For further information and registration material, contact jadornonunez@msifla.com. The WELL Building Standard is commanding the attention of property owners throughout the Sunshine State and the Nation. USGBC Florida Chapter invites any professional who is interested in taking a deep dive into the Standard and perhaps sit for the WELL AP exam to join us for one of two in-depth professional exam preparation courses -- the first held in Tampa (date) or the second held in Deerfield Beach (date). If you are interested in taking a comprehensive day-long class of the WELL Building Standard, sign up now! Class seats are limited in both locations. If you can't make this class in Tampa, CLICK HERE to sign up for the WELL AP Exam Prep Course to be held in Deerfield Beach on _______. This course is a major differentiater -- for you! You can be a part of the earliest wave of WELL Accredited Professionals in Florida. We welcome professionals from all sectors of the building industry: owners, operators, designers, engineers, builders and occupants interested in mastering and practicing the new standard. This WELL workshop will have nine sections that will be outlined over the course of one packed day of content -- see below. A light breakfast and full lunch will be provided. A hard-copy exam study guide and sample test questions will be provided to all students. For more information regarding the WELL Accredited Professional Examination, learn more at the International WELL Building Institute. 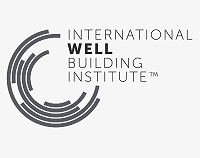 The WELL Building Standard Workshop Class provides a deep review of the WELL Building Standard ideology, structure and certification process -- see course description here. The medical basis for the concept categories will be introduced, along with design and construction strategies to create healthy buildings. The time has come to elevate human health and comfort to the forefront of building practices and reinvent buildings that are not only better for the planet -- but also for people. This day-long presentation will introduce how to do this using the WELL Building Standard as the framework. ~ Air -- This section will provide a review of each of the points in the WELL system relating to air quality. Also reviewed will be similarities to LEED and other systems. ~ Water -- This section will provide a review of each of the points in the WELL system relating to water quality, including pollutants, testing and promoting healthy water consumption. Also reviewed will be how credits translate and other similarities to LEED and other systems. ~ Nourishment -- This section will provide a review of each of the points in the WELL system relating to nourishment tied to occupants. This includes allergies, handling, preparation and concerns about food production. ~ Light -- This section will provide a review of each of the points in the WELL system relating to lighting and the effects on human occupants. Students will explore concepts related to circadian rhythms, glare control, and daylight issues. ~ Fitness -- This section will provide a review of each of the points in the WELL system relating to fitness of occupants in the certified space. This section concerns staying active and design components that foster fitness. ~ Comfort -- This section will provide a review of each of the points in the WELL system relating to comfort. Students will explore aspects such as ergonomics, noise, olfactory issues and thermal comfort. ~ Mind -- This section will provide a review of each of the points in the WELL system relating to mindfulness. In this section, topics include biophilia, beauty, stress, altruism and transparency. ~ Review -- In this final section of the day, students will be reviewing test questions, while instructors field questions. Also provided will be a review of next steps for taking the exam, what to expect, and how to continue studying. Please note that Student Pricing only applies to full-time students who are able to present at class check-in a university or college ID card. OUTSTANDING ROI! Attaching your company's logo to this class entitles you to two class seats (value: $600), logo linked to your website, and an opportunity to introduce your company at start of class and distribute YOUR marketing materials. A Venue TBD In Each USGBC Region! Join the (name of Region) of USGBC Florida for this very special and timely presentation -- The Wellness Aspects of Green Building. Truth be told, it always has been. Human health as a pillar of sustainability has long been reflected in LEED. Recent years' heightened focus -- from a number of different directions -- on measuring a building’s impact on human health and well-being has made it paramount for LEED users to incorporate health and wellness more deeply into their work. In the coming years, buildings will no longer be considered green if they only do less harm. More of the places where we live, work, learn and play will begin to actively and intentionally protect and restore our health. 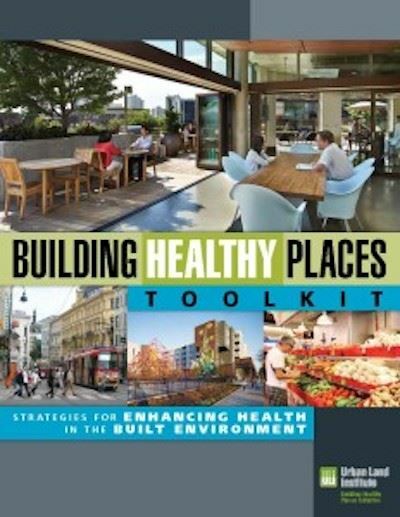 Learn more about this growing trend by exploring the International WELL Building Institute, FitWel, and Urban Land Institute's Building Healthy Places Toolkit. The WELL Building Standard is one of the leading tools for advancing health and well-being in buildings and communities globally and the Green Business Certification, Inc. accredits WELL AP's. This is a wonderful program with which to have your company's name affiliated! Thanks to our sponsors below -- click on their logos to learn more about their special services. Join them and share the spotlight and association with healthy buildings and USGBC! thanks, also, to our Venue Host! Mark your calendar to Join USGBC Florida for a crash course -- along with some impressive GREENworking and a generous allotment of CEs -- in LEED and green building. On ______ in _____, green-business leaders will gather for this unique Green Business Boot Camp. This highly specialized, intensive, interactive, four-hour training will provide LEED practitioners, project teams, service providers and developers an opportunity to learn ways to grow their business through the expanding suite of tools offered by GBCI. No matter the type, size, scope or life-cycle phase of your project, USGBC has a system that can work for you. Attendees will receive a crash course on each of the new offerings that builds upon their knowledge of LEED. Led by two members of USGBC’s regional team out of DC -- Ryan Snow and Rhiannon Jacobsen -- attendees will discover how to advance green buildings, communities and cities as part of your green-business strategy. The session will provide plenty of opportunity for Q&A. Stay afterward for our Boot Camp Unwind Reception to relax and connect with colleagues. For credential holders, four hours of GBCI general CEU credit will be provided. The timing of this Boot Camp couldn't be better. This is an exciting time in the green industry. USGBC’s Green Building Economic Impact Study underscores what we knew -- that the green construction growth rate is rapidly outpacing that of conventional construction. Total state earnings related to LEED building construction projects are estimated to total $8.4 million by 2018. Additionally, the portfolio of tools and resources advancing the green marketplace continues to grow with LEED v4, SITES, PEER, Parksmart and other systems supported by GBCI. We look forward to you joining us for this special education opportunity! Want your company's name associated with this specialized training and program? Grab that solo-sponsor spotlight for $1,000 or one of four $250 opportunities. ROI is outstanding, including high-profile visibility in promotions and an opportunity to introduce your company to attendees at the program and during the post-session reception. Secure your sponsorship here! 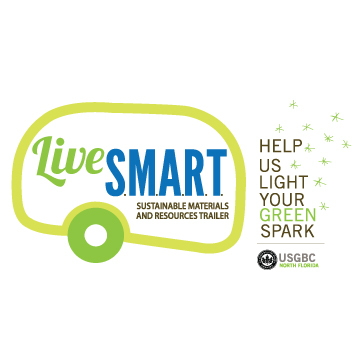 LiveSMART is one of USGBC Florida's most important education vehicles! Literally! Created by and working out of the USGBC Northeast Region, LiveSMART is an impressive “green home on wheels” exhibit that visits large events, schools, business campuses and more, taking green-building and sustainability-living education to more than 30,000 people a year. On the radar this month, LiveSmart is coming to _______ to be a part of _____ on ______. If you're in the community, join us! Learn more about (the event) here. If you are interested in having LiveSMART visit your school, workplace, organization or festival, please reach out to Mary Ann Myler (904-553-7526). PEER -- Performance Excellence in Electricity Renewal -- is a third-party certification program and road map for sustainable power system performance. The first of its kind in the world, PEER is designed to provide dependable, sustainable power for all, all the while lowering electricity costs. PEER is about defining a better grid and is a program that provides a set of criteria for guiding the design and assessing the performance of sustainable project grids. The initiative was launched following the massive northeast blackout in 2003. The Green Business Certification Inc. (GBCI) officially launched PEER and serves as the independent, third-party, global certification and credentialing body for the rating system. PEER evaluates power generation, transmission and distribution systems through the lens of the customer, focusing on efficiency, quality, reliability, resiliency and the environment. This education program will provide electricity leaders, professionals and operators with the metrics and strategies to minimize or eliminate waste and improve performance. The speaker will weave local utility participation into the session, as well as ____________________________________. Wayne A. Dunn (PE, PEng, LEED AP) is Principal and Mechanical Engineer at E.W. Dunn, a Jacksonville-based engineering and consulting firm. A longstanding USGBC volunteer currently serving on the USGBC Florida Board of Directors, Wayne has been involved with project management, systems integration, quality assurance and commissioning for more than 30 years. After decades of overseeing mission critical and system optimization projects, Wayne is now focused on developing technical partnerships that leverage technology and share rewards. 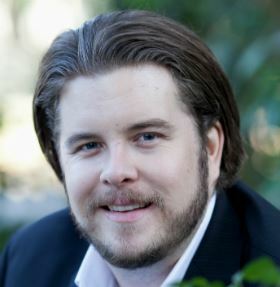 He has published several papers on commissioning relating to risk management, energy performance and owner satisfaction. 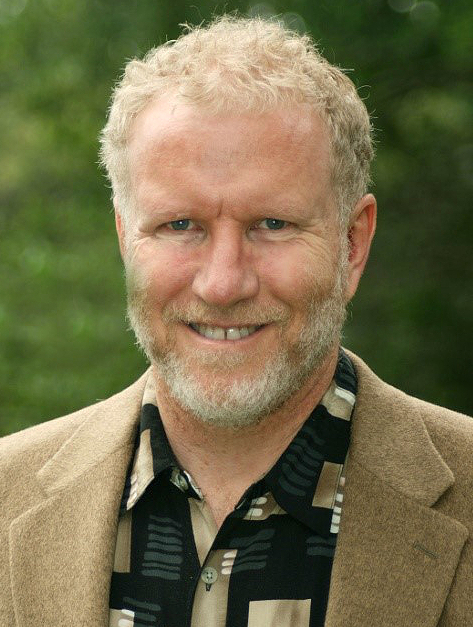 He is much sought-after industry speaker on energy efficiency and commissioning. In addition to being a registered professional engineer in USA and Canada, Wayne is a LEED AP and holds technical certifications related to indoor air quality and microgrids. He is a member of ASHRAE, USGBC, BCA and ASQ. It's with sincere thanks that our sponsors for this program are acknowledged. Please click on the links below to learn more about the outstanding services provided by each of them. May 18, 2018 Pensacola -- Using Building Automation System Data to Enhance Building Performance. 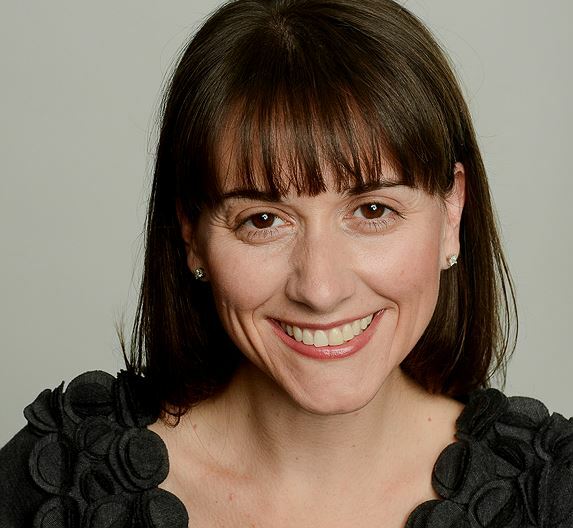 How Can Data Help You? May 09, 2018 USGBC Miami Monthly Planning Meeting -- Join Us! April 11, 2018 USGBC Miami Monthly Planning Meeting -- Join Us! March 14, 2018 USGBC Miami Monthly Planning Meeting -- Join Us! February 27, 2018 Miami -- Emerging Professionals Planning Meeting -- TOMORROW! February 22, 2018 Orlando -- Member Meeting & Happy Hour - A Wine Tasting! Tomorrow! February 22, 2018 Fit City 5 in Downtown Miami -- Save The Date! February 13, 2018 USGBC Miami Monthly Planning Meeting -- Join Us! February 08, 2018 LAST CHANCE TO REGISTER! USGBC Northeast Florida LEEDership Awards! January 10, 2018 USGBC Miami Monthly Planning Meeting -- Join Us! November 16, 2017 Miami -- Deep See Project Exhibition -- This Evening! November 02, 2017 Webcast: Why are New Indoor Air Quality Metrics Needed? October 19, 2017 Miami Beach LEEDership: How is the New Sustainability and Resilience Ordinance Playing Out? September 16, 2017 Solar Decathlon 2017 -- Team Daytona NEEDS YOUR HELP! CALL FOR VOLUNTEERS! August 29, 2017 Tally Green Flicks Series: "The Future of Energy"
August 03, 2017 Screening of Al Gore's "An Inconvenient Sequel"
June 21, 2017 Central Florida Battle of the Buildings -- Launch Party! June 21, 2017 Heart of Florida Region's Green Caffeine = Outstanding GREENworking! May 24, 2017 Jacksonville Film Screening of "Ahead of the Tide" and "Facing the Surge"
May 17, 2017 Heart of Florida Region's Green Caffeine = Outstanding GREENworking! April 27, 2017 AIA Conference on Architecture 2017 -- Orlando! April 22, 2017 Earth Day -- Miramar Disco Soup! April 19, 2017 Heart of Florida Region's Green Caffeine = Outstanding GREENworking! March 24, 2017 Special USGBC Florida Gulf Coast Offering -- LEED Green Associate Exam-Prep Workshop! March 15, 2017 Heart of Florida Region's Green Caffeine = Outstanding GREENworking! March 02, 2017 REBROADCAST Best of Greenbuild Series: Save the Planet ECONOMICALLY using Baseline Green Codes! February 21, 2017 USGBC NE FL & SMPS Present: Urban Mining Tour with free electronics recycling! February 08, 2017 Best of Greenbuild Series: Save the Planet ECONOMICALLY using Baseline Green Codes! January 04, 2017 Heart of Florida Region's Green Caffeine = Outstanding GREENworking! December 21, 2016 Heart of Florida Region's Green Caffeine = Outstanding GREENworking! December 07, 2016 Heart of Florida Region's Green Caffeine = Outstanding GREENworking! November 16, 2016 Heart of Florida Region's Green Caffeine = Outstanding GREENworking! November 02, 2016 Heart of Florida Region's Green Caffeine = Outstanding GREENworking! October 21, 2016 Get Current. Drive Electric. October 19, 2016 Heart of Florida Region's Green Caffeine = Outstanding GREENworking! October 05, 2016 Heart of Florida Region's Green Caffeine = Outstanding GREENworking! September 21, 2016 Heart of Florida Region's Green Caffeine = Outstanding GREENworking! September 07, 2016 Heart of Florida Region's Green Caffeine = Outstanding GREENworking! August 17, 2016 Heart of Florida Region's Green Caffeine = Outstanding GREENworking! August 11, 2016 USGBC Broward Branch GREENworking -- Join Us! August 03, 2016 Heart of Florida Region's Green Caffeine = Outstanding GREENworking!